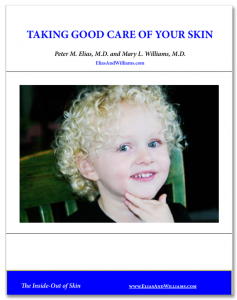 Atopic Dermatitis: Its In the Genes - Elias and Williams: The Inside-Out of Skin by dermatologists and skin researchers Peter M. Elias, M.D. and Mary L. Williams, M.D. In an earlier post, we examined two current concepts about the increased prevalence of the allergic skin disease, atopic dermatitis. The allergic diseases – atopic dermatitis, asthma, and allergic rhinitis – have long been known to run in families. But the inheritance of these ‘atopic’ diseases is complex and involves more than one gene, like many other common conditions, such as diabetes, high blood pressure, or psoriasis. To date, variations , called ‘polymorphisms’, in over 100 genes have been linked to the risk of developing one of these allergic disorders.Recent genetic studies strongly support the barrier-driven model of atopic dermatitis we espouse. Of all the genes associated with atopic dermatitis, the strongest link identified to date is to a gene that encodes a key protein of the stratum corneum, filaggrin. The filaggrin polymorphisms linked to atopic dermatitis result in too little filaggrin being made by the epidermis. Indeed, if an individual is unlucky enough to inherit reduced function polymorphisms on both of his filaggrin alleles – (all genes come in pairs; one allele’ inherited from the mother, the other from the father) – he will likely be identified as having an inherited scaling skin condition, called ichthyosis vulgaris. Having dry skin – with corneocytes unable to attract and hold on to water – challenges permeability barrier by steepening the water gradient across the stratum corneum, with no buffer between the 80% water of the body’s interior and the dry atmosphere outside. 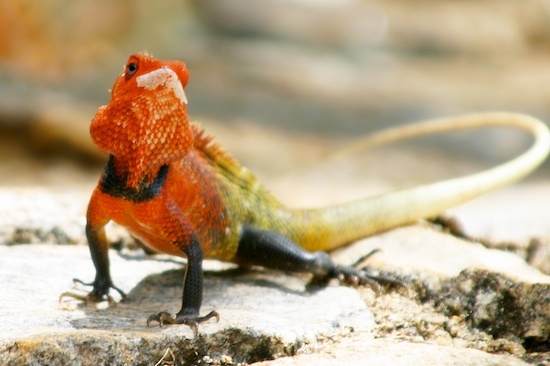 Inheriting one of these filaggrin mutations – either one dose or two (that is, one or both filaggrin alleles) – means you will have dry skin and maybe even dry scales pronounced enough to be called ichthyosis. But only some people, some of the time will have atopic dermatitis. Thus, filaggrin deficiency alone, though it compromises the barrier, does not suffice to produce atopic dermatitis. Some additional stressor(s) is(are) needed to provoke the dermatitis. In a future post we will discuss how the key to understanding how filaggrin deficiency provokes atopic dermatitis may all come down to the pH of the stratum corneum.